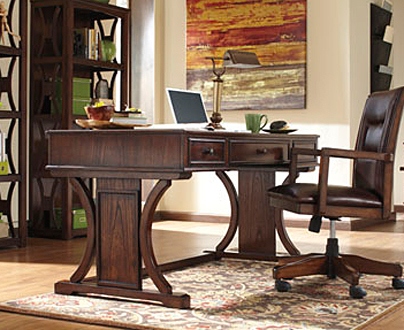 When you opt for Millennium furniture, not only are you getting sturdy and functional pieces for your home’s main rooms. You’re reviving the refinement of the past. Some say romance is back. 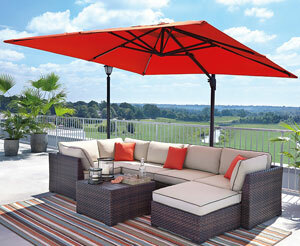 With Millennium furniture, it never went away! Choose from several styles, all showcasing the glory of an era. 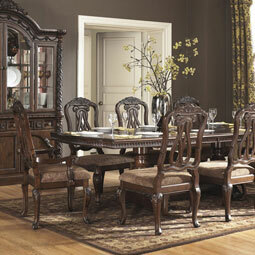 Each Millennium furniture piece is created with Old World artisanship, boasting exquisite details. 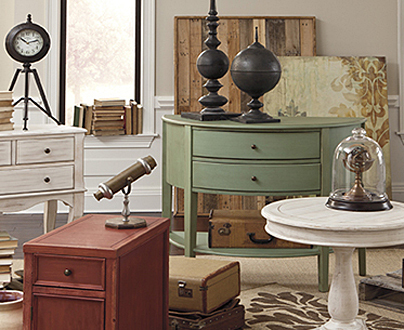 When you stock up on this quality furniture, you’re making a sound investment in your home’s appeal. You get vintage looks at an ultra-low price. 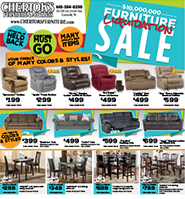 This is made even lower when you buy your essential sets from Chertok’s Furniture and Mattress, where every day’s a bargain. 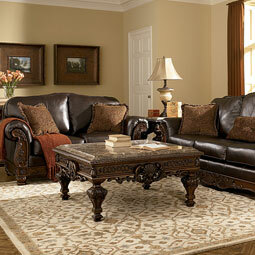 You want Millennium living room furniture because it’s like being in a grand manor house or Victorian brownstone. Thrill to the glories of one of this brand’s distinguished camelback living room sofas richly upholstered in top-grain leather. With wood details such as plumes and medallions, you might think this living room furniture is pricey but it’s anything but! Another longtime customer favorite is a Millennium oversize ottoman in tan fabric with a leather look, edged with nailhead trim. 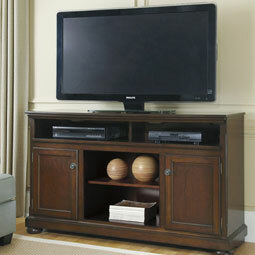 Get the Millennium furniture you really want in order to turn your residence into a showplace! 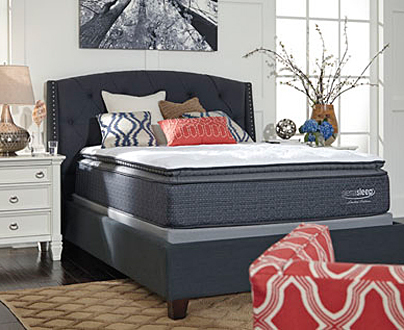 Do it ALL affordably at our Coatesville, PA store, where we look forward to serving you. 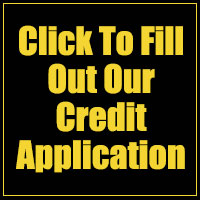 When you buy here, you NEVER have to settle!